St. Joseph of Optina: Prayer is food for the soul. Do not starve the soul, it is better to . . . This entry was posted in Sayings from Saints, Elders, and Fathers, St. Joseph of Optina and tagged First of Sinners, Forgiveness, Forgiveness of Others, Hunger, Idle Talk, Judging, Prayer, Quotes of the Optina Elders, Silence, Spiritual Food/Drink on August 3, 2014 by . “Holy Angel of Christ, I fall down and pray to thee, my holy Guardian, given me from holy Baptism for the protection of my sinful body and soul. By my laziness and bad habits, I have angered thy most pure light, and have driven thee away from me by all my shameful deeds, lies, slanders, envy, condemnation, scorn, disobedience, brotherly-hatred, grudges, love of money, adultery, anger, meanness, greed, excess, talkativeness, negative and evil thoughts, proud ways, dissolute madness, having self-will in all the desires of the flesh. This entry was posted in Church Prayers, Hymns, Services and tagged Angels, Conquering Evil, Disobedience, Envy, Greed/Avarice, Guardian Angel, Idle Talk, Lust, Passions, Prayer, Prayer to Guardian Angel, Prayers of the Church, Pride, Sin, Slander, Sloth, The Evil One on December 1, 2013 by . St. Anthony the Great: What is slander? . . . This entry was posted in Sayings from Saints, Elders, and Fathers, St. Anthony the Great and tagged Idle Talk, Slander on November 2, 2013 by . St. Ephraim the Syrian: Imagine that someone, while standing before a king . . . This entry was posted in Needs Source, Sayings from Saints, Elders, and Fathers, St. Ephraim the Syrian and tagged Church Behavior, Distraction, God as King, Idle Talk, Servant on October 8, 2013 by ocqadmin. St. Gregory of Nazianzus: . . . Not to every one, my friends, does it belonge to philosophize about God . . .
Not to every one, my friends, does it belong to philosophize about God; not to every one; the Subject is not so cheap and low; and I will add, not before every audience, nor at all times, nor on all points; but on certain occasions, and before certain persons, and within certain limits. This entry was posted in St. Gregory the Theologian and tagged Bind and Loose, Idle Talk, Intellect, Philosophy on August 7, 2013 by . 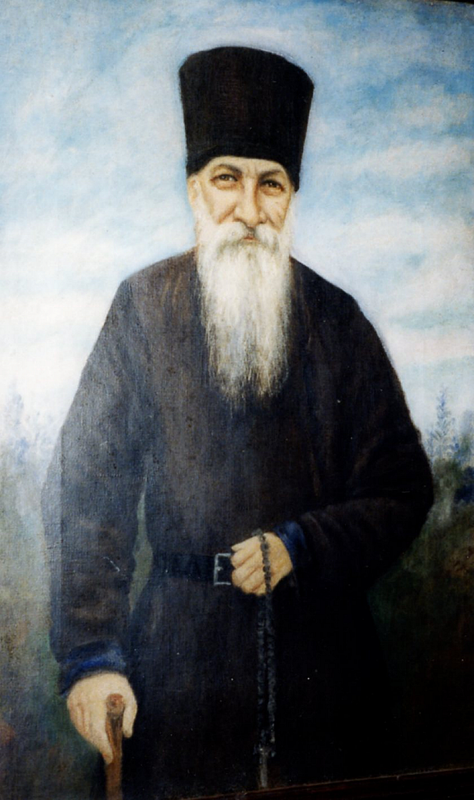 St. Abba Pimen: A man may seem to be silent . . . This entry was posted in Sayings from Saints, Elders, and Fathers and tagged Condemnation, Desert Fathers, Idle Talk, Judging, Silence on July 19, 2013 by . St. Seraphim of Sarov: You cannot be too gentle, too kind. . . . This entry was posted in Needs Source, Sayings from Saints, Elders, and Fathers, St. Seraphim of Sarov and tagged Condemnation, Evil, Failure, Gentleness, Idle Talk, Insult, Joy, Judgement, Kindness, Silence, Slander, The Evil One on July 15, 2013 by ocqadmin.